The M4a audio file format is commonly associated with iTunes and the iTunes music store. While most Apple products can read M4a formatted music, PCs are not wired the same way. So you need to convert M4a files to the more-common MP3 format to play these files on your computer’s media player or on your personal electronic devices. 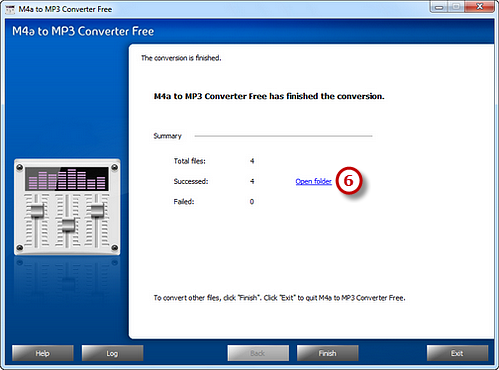 One of the easiest ways to convert M4a to MP3 format is with M4a to MP3 Converter Free software. 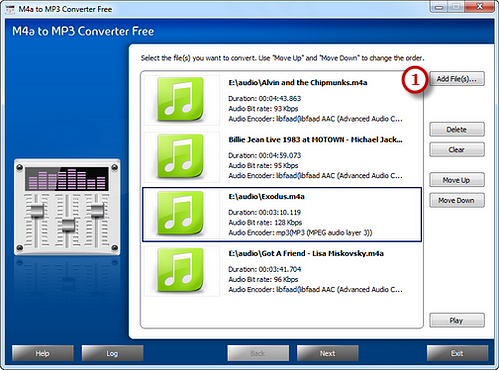 Launch M4a to MP3 Converter Free and click “Add File(s)…” to add M4a audio files to the conversion window. You are allowed to add a large quantity of audio files to be converted. With the conversion window, you can see the detailed information of the added files. If needed, use “Delete” or “Clear” button to remove the unwanted files and “Move Up/Move Down” button to change the order. There’s a “Play” button to play the selected file with the media player in your system. Click “Select…” to choose an output folder from your computer to store the output files. 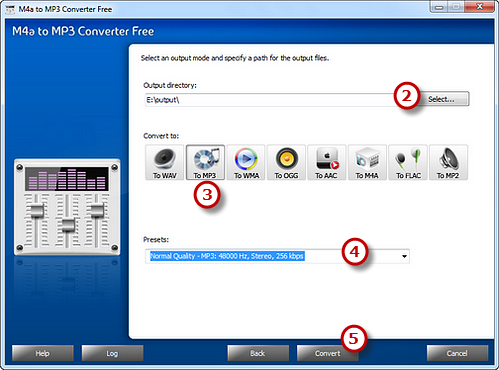 Choose “To MP3” as an output format from WAV, MP3, WMA, OGG, AAC, M4a, FLAC and MP2. Then, adjust the format presets in the “Presets” dropdown list if more precise output quality is required. Click “Convert” to start conversion. 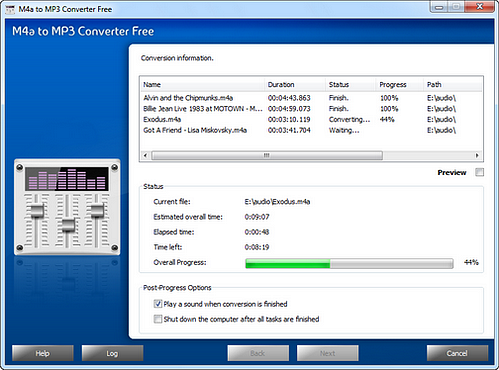 After you hit “Convert”, some conversion information and a progress bar will be displayed within just few seconds. Select the post-process options to automatically play the sound or shut down the computer as long as the conversion is finished. When the process is complete, there is a summary report about the conversion. Click “Open folder” to directly open the output folder in case that you don’t know where your output file is saved.